A paragon of the holy exemplar order, Kreoss boasts the incredible Purification spell, which allows him to remove all enemy upkeep spells and continuous effects in his control range. 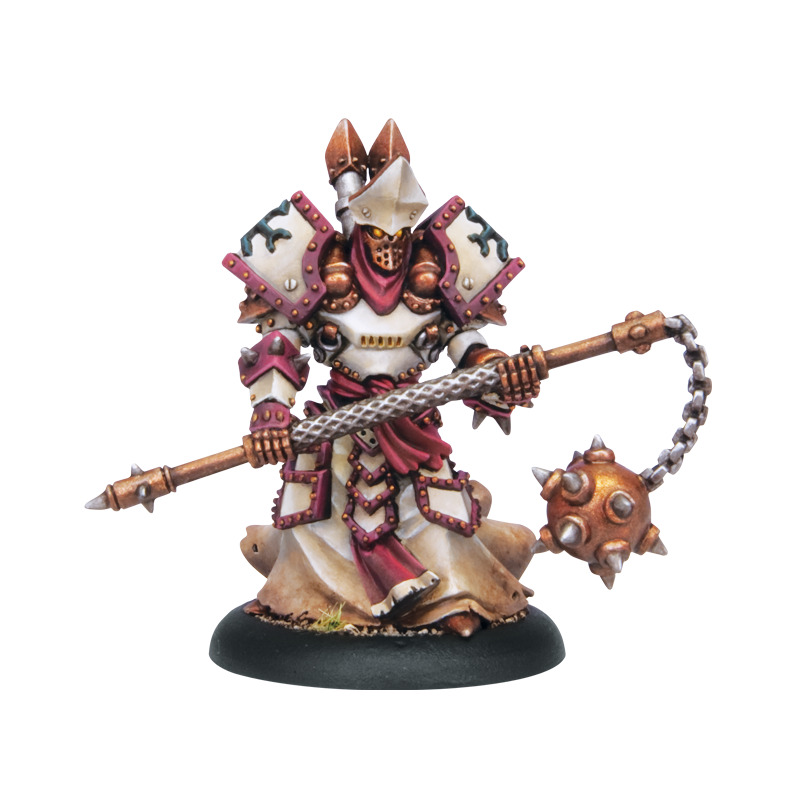 In addition, his feat Menoth's Wrath grants significant lethality to his army by knocking down all enemies within his 14” control range. 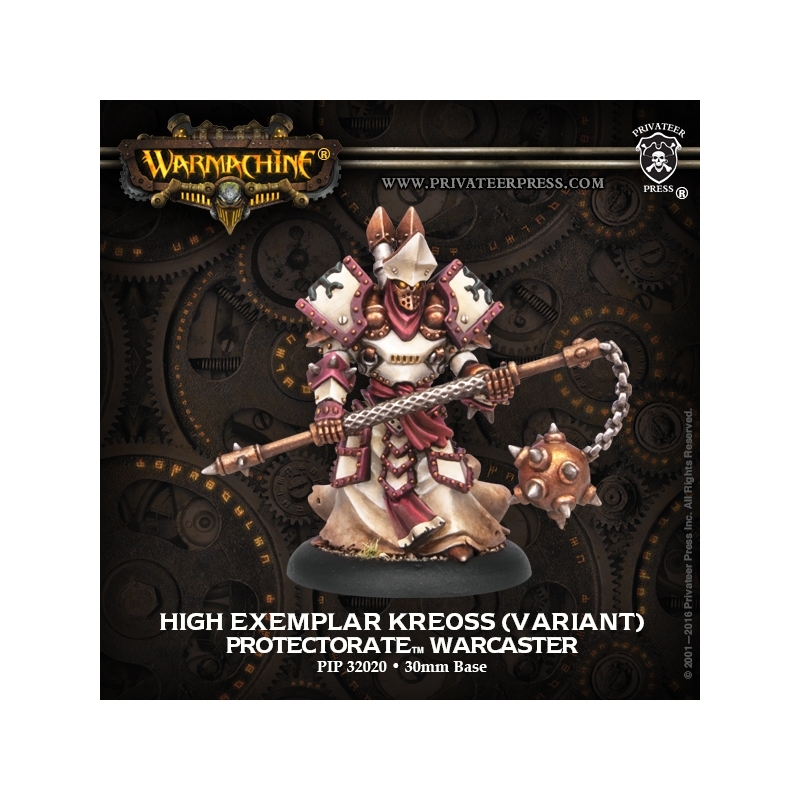 High Exemplar Kreoss is an excellent second warcaster purchase for a new player following the Protectorate of Menoth Battlegroup Box. This Kit allows you to build one High Exemplar Kreoss, a Warcaster miniature for the Protectorate of Menoth faction. Within this blister you will find high quality metal components as well as a base and 2 coloured stat cards. This is a metal version of the Protectorate of Menoth Mk II Battlegroup Box warcaster High Exemplar Kreoss featured in WARMACHINE: Prime. 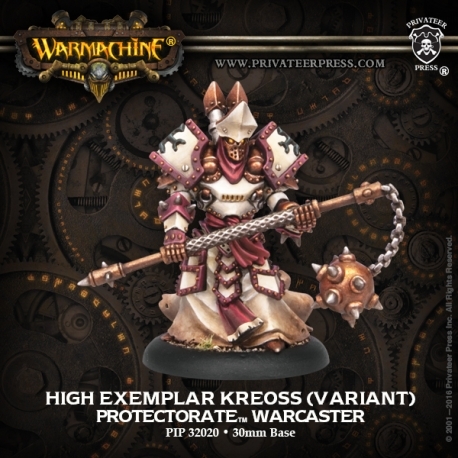 This version of the classic battlegroup box warcaster gives Protectorate players both old and new the chance to bring the might of High Exemplar Kreoss to their games. Please note: As of April 2017 Privateer Press are no longer including stat cards in any of the miniatures from their Warmachine and Hordes ranges. The cards can be purchased separately in the faction Decks. Wayland Games are not able to supply any Privateer Press stat cards separately.